This precious woman is very near and dear to our hearts. Stone Medical helped us so much in the last few years, and never gave up on me when we came back with miscarriage after miscarriage. With one, then two, then three losses, they really looked at the bigger picture each time, and checked into why my body wasn’t carrying the baby for longer than it was. I founds I needed more supplements and vitamins, and I owe that to the amazing team there. The compassionate NP’s, doctors and members of the nutritional team worked hard to help me carry our sweet baby to term, as well as staying healthy myself. The GrowBaby team also had nutritional classes for each trimester and postpartum, and they were immensely helpful as I became a new mom. I think you’ll love the app and their incredible resources! The nutrition and energy that passes through you and into your baby as they grow will create an environment with the potential to decrease the risk of chronic disease in your family for generations. To reverse the global epidemic of chronic disease by applying developmental programming strategies, and incorporating emerging genetic, epigenetic and nutritional information in the preconception and perinatal time period resulting in transgenerational health and resilience. We achieve results through individualized functional assessment of a reproductive population through a multi-scope collaborative effort between an OB provider and nutritionist who reinforces nutrition, supplementation, and healthy lifestyle in a group educational setting. We follow mother and baby through the first 1000 days and beyond. LEARNING: We believe that all women and families deserve access to the education that will optimize their health. Therefore, we have created online free eLearning modules made for the everyday mother. They walk each woman through all 3 trimesters of pregnancy, engaging them in fun educational games that reinforce the education they take home to their home. APPLICATION: Ever wanted a nutritionist with you in your back pocket? We have also created a web-based food and nutrition pregnancy app called GrowBaby Mom. Each mother enjoys a one month free trial and for a small fee of $3.99/month our app walks with you through each unique stage of pregnancy, helping you track your excellent food choices whether in the grocery store or kitchen to meet the developing needs of your baby. PRODUCTS: GrowBaby PreGenesis® supplement packets are formulated by Dr. Leslie Stone and Emily Rydbom, CN, BCHN, CNP. Our prenatal supplement, PreGenesis® comes from a combined 40+ years of clinical experience and continued observational study surrounding nutrition, nutrients, and optimal health during pregnancy. Each prenatal packet contains a carefully selected combination of vital nutrients based on common documented deficiencies in pregnancy. I sent that we have been in practice together for over 8 years, and have helped countless women go through a healthy pregnancy. 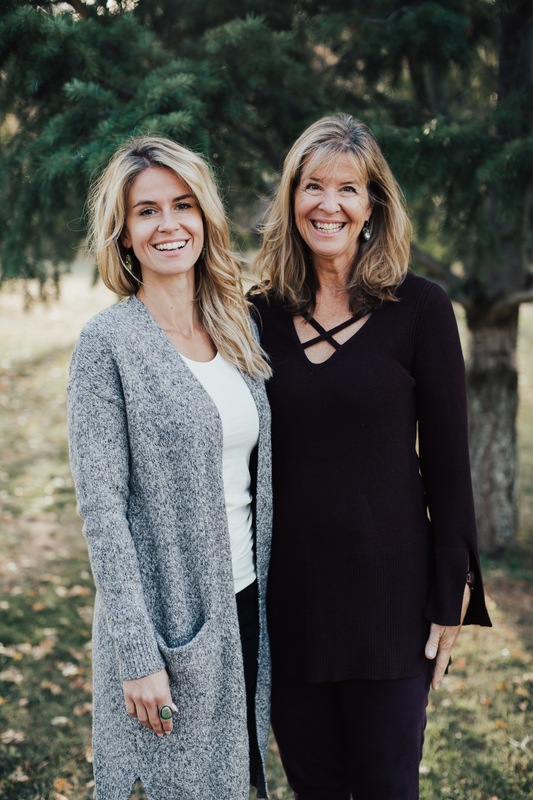 Leslie has delivered over 5000 babies in her 35 year career as a family practice OB and Emily has led thousands of women through pregnancy teaching them through group care, individual sessions, and a robust social media community that their decisions are powerful.